This is a story about the friendship between Adit, Dennis, Mitha, Devi and the cute little Adelya. Their lives are colored with unexpected adventures. Adit acts as the driving force and motivator and he inspires them to chase their dreams. However, their journey is not always as smooth as they expected. They have to deal with the duo,SopoJarwo, who are always looking for loopholes to profit without effort. Disagreements and misunderstandings are the key ingredients that triggers the 'feud' between Adit, friends and Sopo Jarwo. But this feud isn't physical nor is it emotional. Fortunately they have Haji Udin, who has been the head of the village for many years, between them. His wisdom acts as the mediator between the two groups thereby calming down the situation everytime. How does the story develops between Adit and friends in dealing with SopoJarwo? 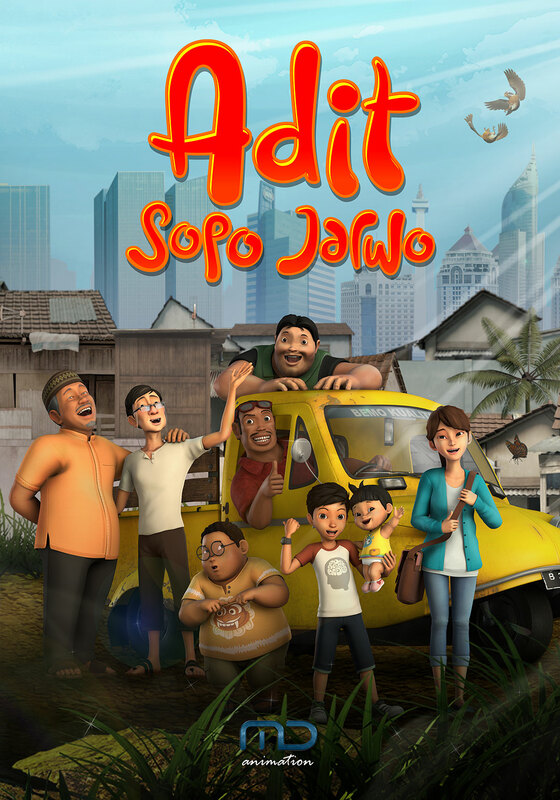 Watch their exciting adventure on 'Adit&SopoJarwo' on MNV TV and look at the world's best animation by our nation.